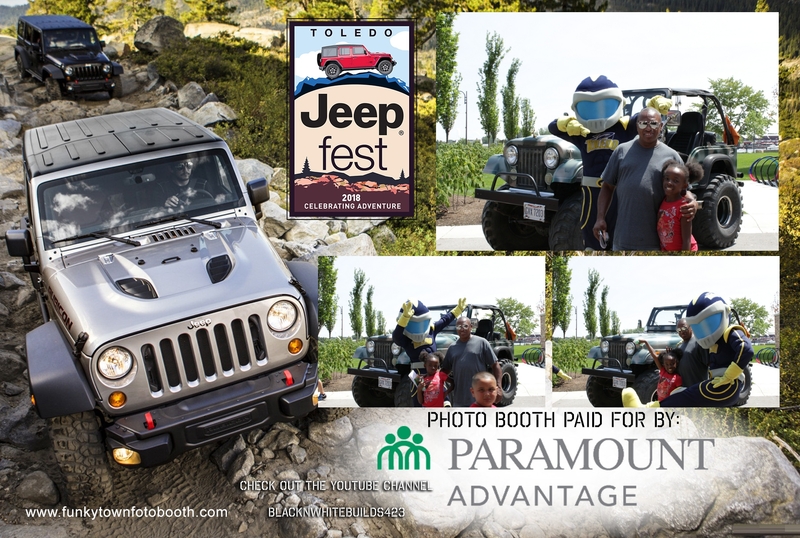 Saturday we had the pleasure of hosting the Jeep Fest Photo Booth in the kids zone hosted by Imagination Station. Paramount Health Care sponsored the booth so all the pictures were free for everyone! We have worked with Paramount Healthcare before for events like the Old West End Festival, which was a huge success. We will have our booth at a trunk or treat event with them this October as well. Check out this great custom designed template we put together for Paramount. 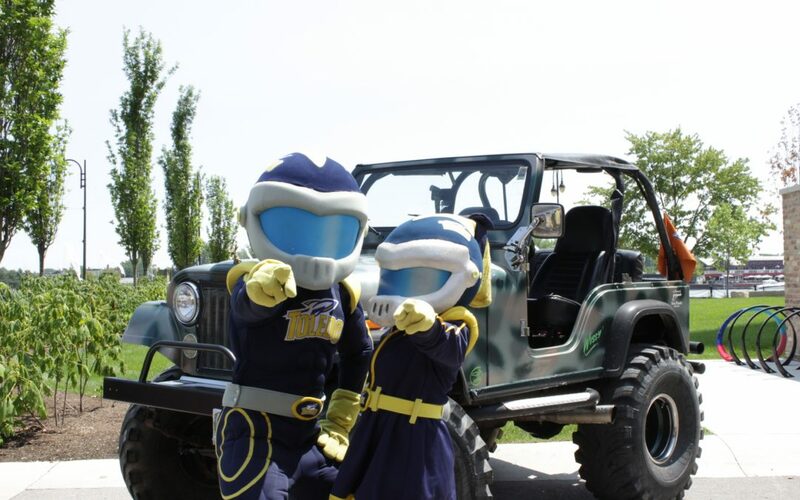 The backdrop we used for the Jeep Fest Photo Booth pictures is definitely one of a kind. 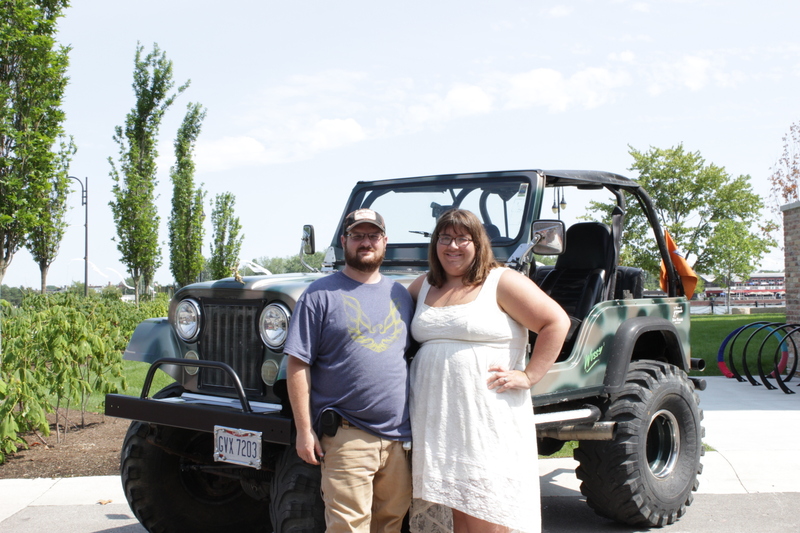 A huge shout out to Glass City Crawler Facebook page for helping me find Sara who so graciously let us use her Jeep as the backdrop for our photo booth. It originally belonged to her dad and was passed down to her. The Jeep was customized by Sara’s dad and she has left it the same way dad built it. Some of the Jeep highlights include the custom camouflage paint job and a small block Chevy under the hood. Don’t event get me started on the tires or the rumble or the engine when they fire it up. Bottom line is that is by far the best backdrop we have ever had. Does your company have an upcoming sponsorship at a festival, conference or other large event where you want to make a lasting impression on potential clients? A photo booth is a great way to get your brand out there for everyone to remember you and what you offer. We custom design the prints for your event which always include your logo/information which clients then take their pictures home and hang them on the fridge, put them on their desk at work or place on the dashboard to remember the fun they had. That also allows them to see your information/logo every day so they don’t forget about you! We also blast social media with your information and include links to your website. At the end of the day you want your brand to stand out from the crowd so why not hire the photo booth that stands out from the crowd. You can read more about your next photo booth rental here or book now to lock in your date.